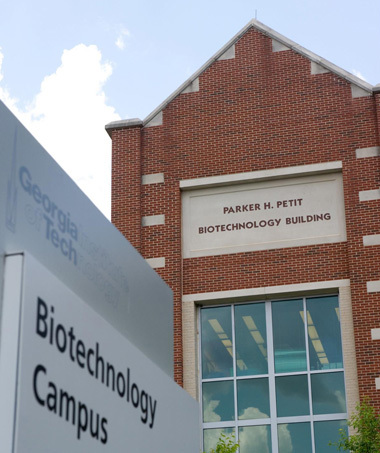 The state of Georgia's collaborative effort to build a biosciences community has had a noticeable impact on the campus of the Georgia Institute of Technology in Atlanta, where an entire complex of buildings has sprung up to house scholars and researchers. At the center of the complex is the Parker H. Petit Institute for Bioengineering and Bioscience, which began operation in 1995. The facilities were built using private donations and state funds, and the Georgia Research Alliance supplied instrumentation used by 140 faculty members and more than 1,000 students. The institute's goal is to bring together faculty members from different colleges or schools over shared research interests, says director Robert Guldberg.